Happy is a reflection of happy moments I experience while diving or snorkeling in the beautiful protected underwater world of our island. 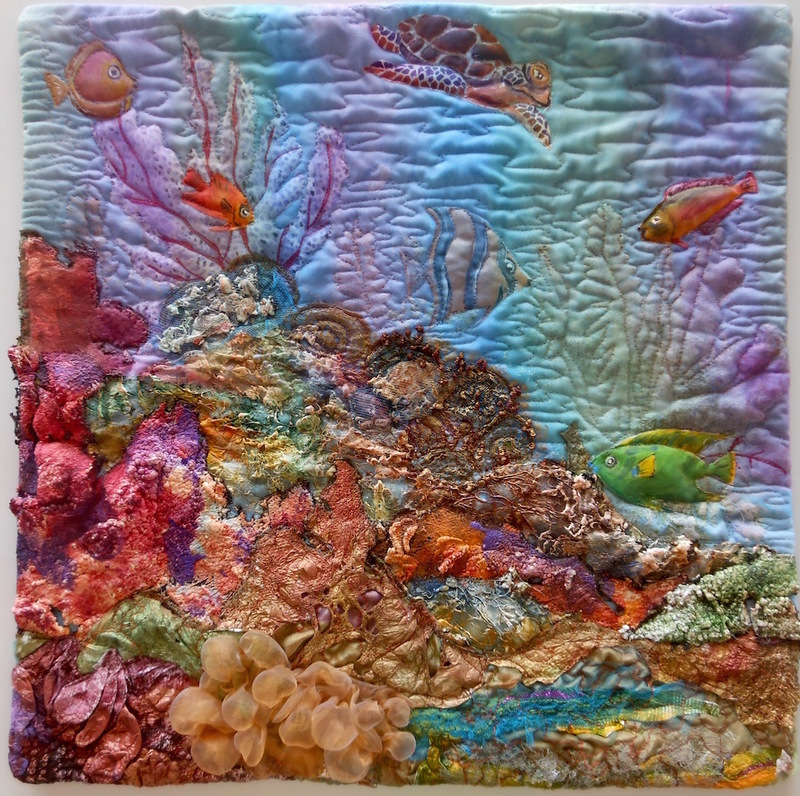 Lots of coral and even more beautiful tropical fish. 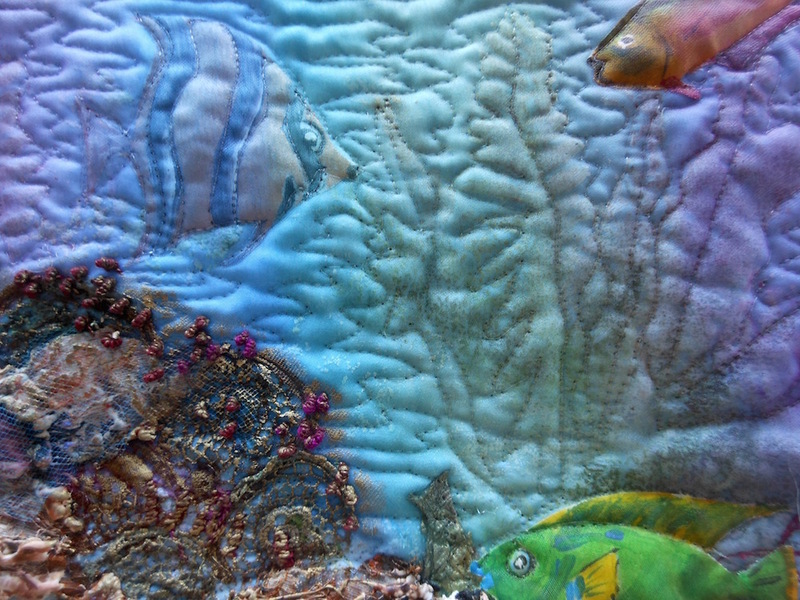 Fishes, turtle and seafan are hand painted and appliqued on the background. Some 3 D effect I achieved by boiling organza with beads in it. After removal of the beads the bubbles remained and I hand stitched it on. Finally I added some dyed lace and embroidery for the finishing touch. Incredible ! so real ! I like your organza bubbles on the bottom. 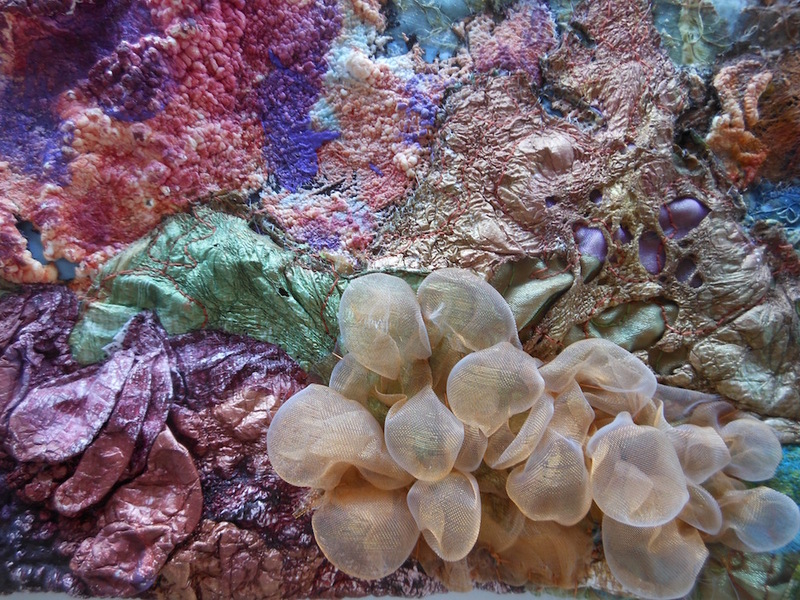 Wonderful use of colour and mixed textiles, the organza bubbles are great, love it! I like the colours of the underwater world. I am fascinated by your “extended” techniques such as multi-layering and even boiling elements. Must be yours! Again so many different techniques. Especialy the bubbles are great!